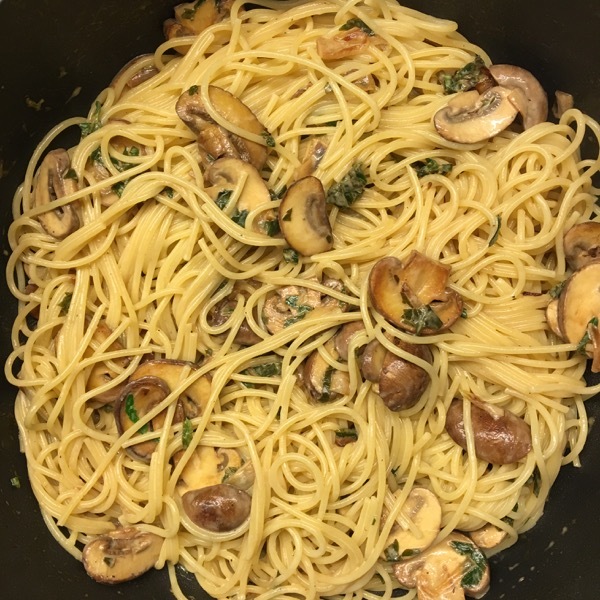 Posted on June 19, 2016 June 19, 2016 by Mara L.
Mozzarella Di Bufala And Spaghetti Ai Funghi, By Mara L.
Friday, it turns out, is the weekly farmers market here in the village where I’m staying. The very first stall, selling just a few items, had such nice produce that I didn’t get much further. So it was arugula for salad and mushrooms for pasta, beautiful, fresh, and spotless. Another stall I loved was selling farmers cheese. I’ve become weary of mozzarella di bufala, after reading up on the gruesome conditions in which the animals are kept. What used to be an almost unknown speciality is now a staple, available in every supermarket. And the conditions for production seem to have gone downhill dramatically. Rather than being a purist about the cheese being from Campania or the Maremma, I’ve come to be a purist about how the mozzarella is produced. 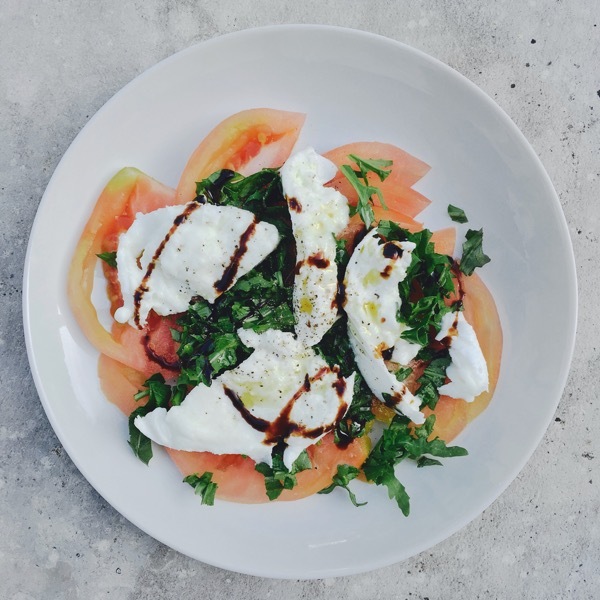 So I liked the thought of mozzarella di bufala made by an organic farm in Bavaria. Here’s then the salad that started off today’s meal. Spaghetti ai funghi are just as easy to prepare. 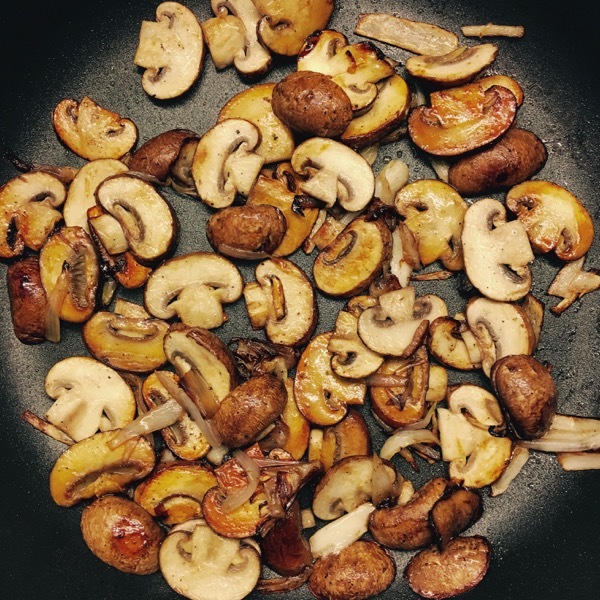 Like with all mushrooms, don’t overdo the cleaning. Dry the mushrooms after cleaning on kitchen paper. Cut nicely and put them into a pan side-by-side. The less they are sitting on top of each other, the better. 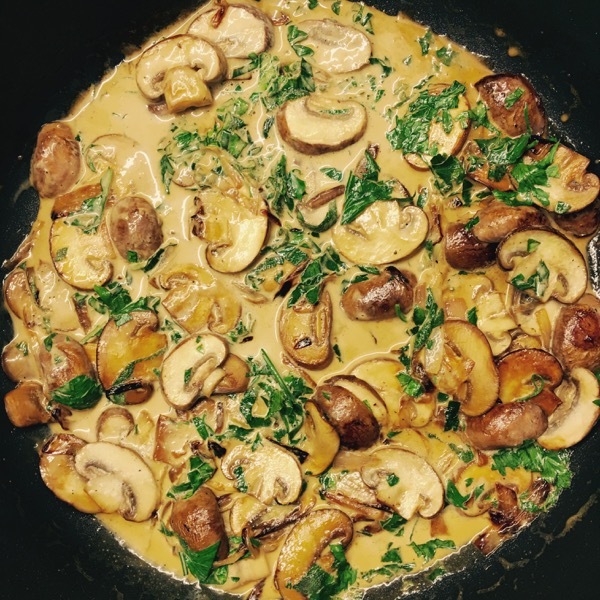 Make sure not to stir the sliced mushrooms before they are seriously browning in the pan, add some cream and lemon and white wine. Cook the spaghetti until they are al dente, or rather, very much al dente, still a tiny bit too hard. You’ll want to mix them in with the sauce, and as they soak up the sauce they are growing just a notch softer. As always, add parsley late: you don’t want it cooked, you want it pretty much raw mixed in with the rest. Previous PostPrevious Bistecca Di Cervo, By Mara L.
Next PostNext Scaloppine Di Vitello Alla Salvia, By Mara L.